The core of Microsoft Teams is, its teams and channels. That’s where most of the action takes place. 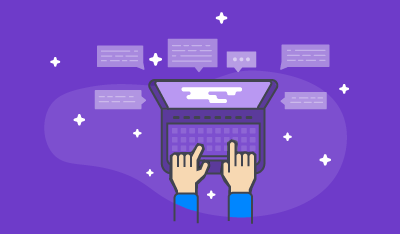 In the previous part of this series, we discussed the different business scenarios for using Microsoft Teams. Let’s move forward with the project scenario. We are starting a new project for our customer, Fabrikam, which consists of implementing the Modern Workplace. Before we create a new team, it’s very important to check if the team doesn’t already exist. Microsoft Teams doesn’t give you a warning if a team with the same name already exists, which can cause problems for all other Office 365 elements that are created along with it. Really annoying, right? For example, we already have a team for our Sales department. I can create a new Team with the same name. A new SharePoint site collection is created, but because you can't have two site collections with the same name, there will be a random series of numbers at the end of the URL. In this case: https://ourtenant.sharepoint.com/sites/Sales314. Oh my - that’s going to create a lot of confusion. A Sales team exists! 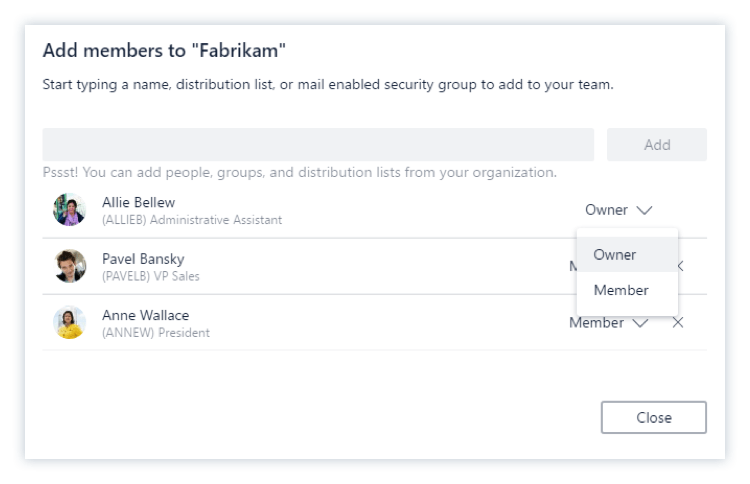 I can click on Join team and start collaborating, or choose to create a new team with a different name. The power of a Modern Workplace lies, among other things, in sharing knowledge and expertise with colleagues, so I would always recommend creating public teams. Of course, there are exceptions when sensitive information is concerned, but private teams shouldn’t be the default. Last time talked about the relationship with Office 365 Groups. 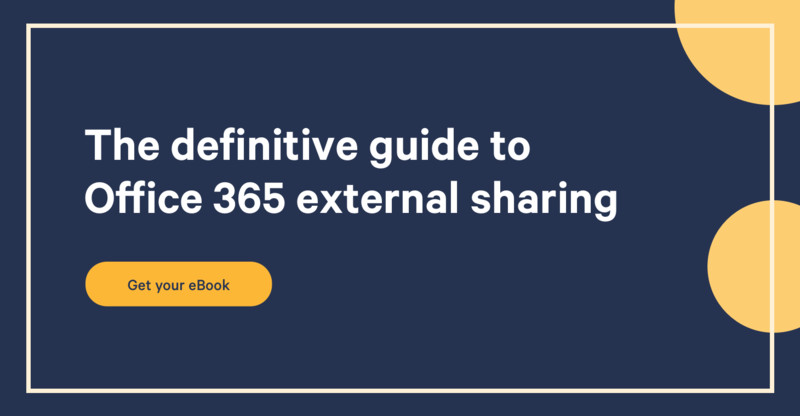 Has your organization been using Office 365 Groups for a while? 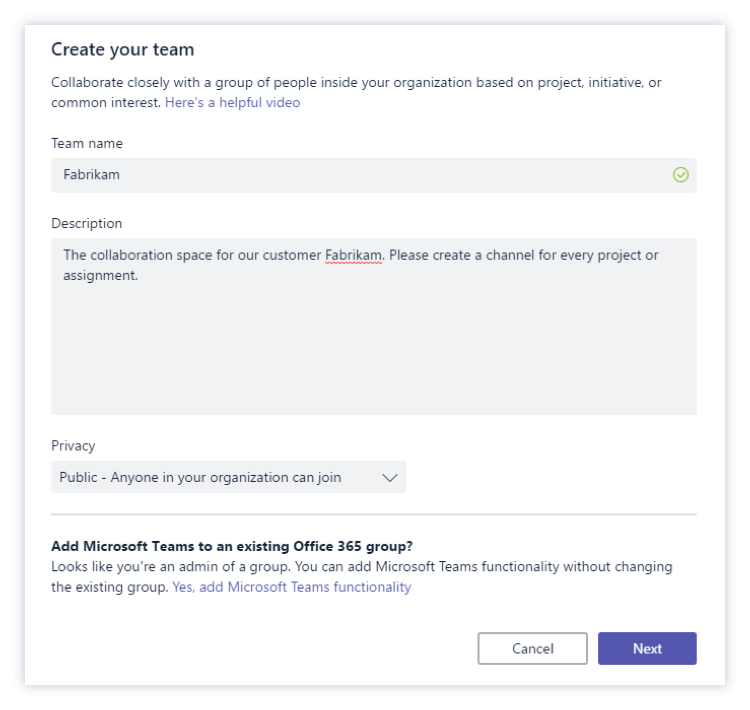 If that's the case, please, don’t create a new team but connect your existing Office 365 Group with Microsoft Teams by using the "Yes, add Microsoft Teams functionality" feature. You'll save yourself a lot of headaches. Be sure to have at least two owners per team. This guarantees a backup contact, in case one of the owners isn’t available. Every team starts with a "General" channel. Use this channel as the name implies- discuss all general topics related to the team's purpose. For every other topic, i.e. "Projects", create a new channel. That’s an efficient setup to bundle all content relating to a topic, within one location. Currently, there is a limit of 100 Channels per team. That should be sufficient, but internally we are already hitting this boundary. You can always delete a channel if you see that it's rarely being used. In which case the conversations will be deleted, but the documents shared within the channel will still be stored within the SharePoint team site. Once you start with Microsoft Teams, there aren’t many teams listed. Be warned though, once adoption increases, so will the list of teams in the sidebar. The same applies for channels within a team. All your favorite teams are listed under the "Favorites" section, and other teams under "More". Your favorite channels are listed directly under the "General" channel. The other channels are available in a drop-down menu. Ideally, every member in a team saves content directly with the Teams app or in the SharePoint team site. Unfortunately, we don’t live in a perfect world where everyone works the same way, resulting in a lot of attachments still arriving in your inbox. I'll talk a little more about files later. Following the updates of one team and of a handful of channels is maintainable. But what about when you're dealing with multiple teams and channels? It can almost become a full-time job, right? By choosing the option to "Follow" a channel, you'll receive updates around activity within it, such as when a new post is published. It's an easy way to stay up-to-date with your favorite channels. When using "@channel" within a conversation, each member who has favorited or follows the channel, receives a notification. Your team will be structured with tabs. There are three default tabs: Conversations, Files and Wiki. I'll skip the Wiki tab, because I'm not a fan. But before Wiki, we had a default OneNote tab, but no longer. So, you should always start by creating a tab to OneNote within your new team. Wow! That's a lot of tabs. These differ from displaying Office documents, websites and Power BI reports integration with external tools. That’s right, you can integrate an external tool within Microsoft Teams. You don’t have to exit Teams to work with the tool, but can do it straight within the app. This development really shows how Teams is moving towards being the Modern Workplace tool for all your daily tasks. Are you missing a tab? Don’t worry! Get your smartest developer in action and start creating your own custom tabs. If these aren't your thing, don’t be alarmed, you can also just use plain text. The fun features aren’t mandatory. I would advise you to discuss with your organization, or project members regarding the use of these features. In a future part of this series, I'll be discussing Governance when it comes to Microsoft Teams and will tackle this subject in a bit more detail. The Files tab displays all the files of your team, which are stored in the SharePoint team site. No surprise, right? The out-of-the-box shared documents library is used to store the files. Each channel within the team gets its own folder. You can work directly within the Teams app with files or you can use SharePoint. That’s up to you, you're in charge! The files interface in the Teams app does the job, but the main disadvantage is the absence of custom metadata. Did you create a new metadata field called owner and assign owners per document? Too bad, the Microsoft Teams app won’t display your owner field. I recommend using this feature for documents you're currently working on. For example: Project plans, designs, calculation sheets or reports. Once you're finished with the document, you can remove the tab. The conversations are maintained, so you don’t have to worry about that part. That's it for this second part of my Microsoft Teams guide, I hope you enjoyed it! Are you starting to feel like a rockstar yet?